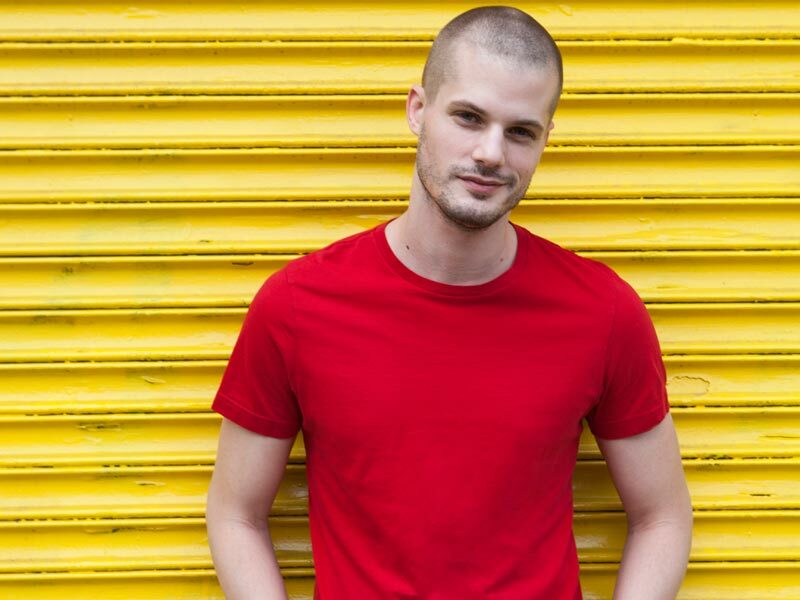 Jay Brannan was born today, March 29, in 1982. He is an actor and contemporary folk singer-songwriter. Brannan appeared in the 2006 movie Shortbus, and began to build a fan base by performing on YouTube. He described his upbringing in Texas as conservative Baptists. Brannan went to college for one semester in Cincinnati, Ohio, and went to California, first to Palm Springs and later to Los Angeles, trying to become an actor. In 2002, he was shown a casting notice and, after the end of a relationship, moved to New York City and submitted an audition tape. He also worked as a proofreader of legal documents for a translation company. Brannan was cast in the 2003 John Cameron Mitchell’s indie film Shortbus and worked as a proofreader and in other jobs to support himself. He contributed the song "Soda Shop" to the film's soundtrack, which he stated was his "first professionally recorded track." Brannan began to record sparse music videos for YouTube, accompanying himself on the guitar, and built an international fan base without corporate sponsorship. In 2007, he appeared in the movie Holding Trevor as the promiscuous best friend of the protagonist, and released a limited-edition EP with fours songs named disasterpiece or Unmastered, adding two additional songs for a 2008 re-release. In July 2008, Brannan released the album Goddamned through his own label, Great Depression Records, and toured 10 dates, a departure from his previous practice of short tours of about four concerts. The same year, Brannan left his proofreading job and sustained himself with earnings from concerts and merchandise. His second album, In Living Cover, was released in 2009 and reached number 10 on the Billboard Top Heatseekers chart for the week of July 25, 2009. Brannan is a tenor. Allmusic described his style as contemporary singer-songwriter and compared him to female artists, including Ani DiFranco, Lisa Loeb, Sinéad O'Connor, and Liz Phair. Goddamned was described as lo-fi and Brannan compared his concerts to intimate performances in his home. He has performed with Terra Naomi and both were compared in style and described as performing indie folk. The New York Times stated in 2006 that Brannan was sometimes compared to singer-songwriter Rufus Wainwright and that Brannan saw himself as echoing the angry and sad sound of female singers like Tracy Chapman and Joni Mitchell. Brannan currently lives in New York City. “New York, New York” is a 5-song EP, and Jay’s latest release, now available for download. Visit Brannan's Website here. I didn't know a lot about him before but I really enjoyed the video.